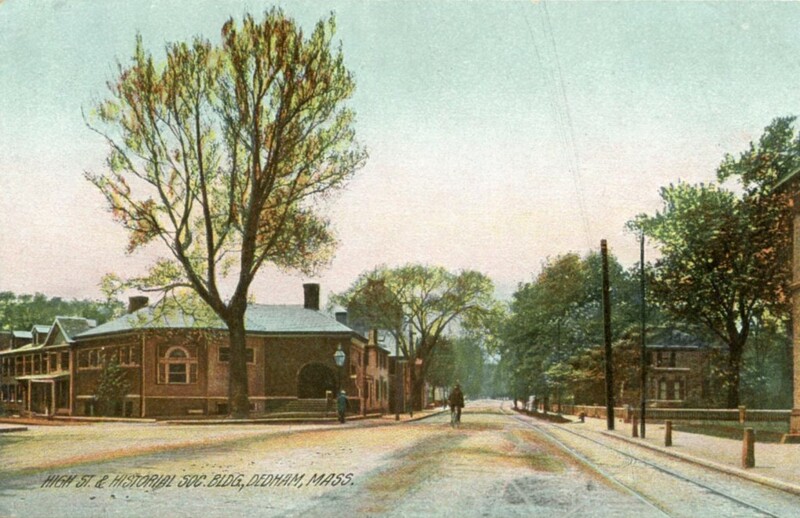 Get a glimpse into Dedham history with a tour of The Dedham Historical Society & Museum. 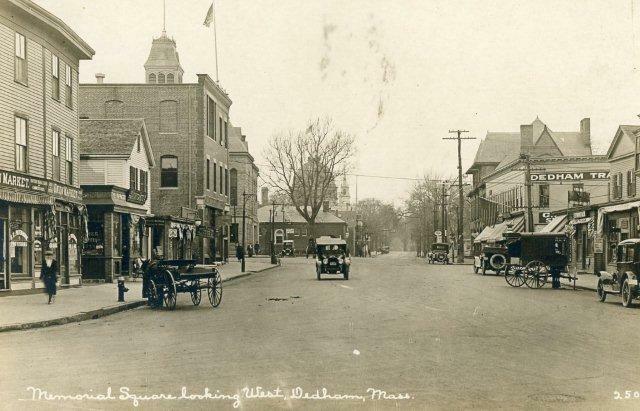 Your visit will provide a look back at some of the people and places that have contributed to the town’s long, rich history and that have made Dedham distinctive. A staff member will greet your group and give an introduction to Dedham history and the Historical Society, as well as a summary of our collection. You will view Dedham Pottery, historic furniture, paintings, and the Pratt silver collection. Visitors will have a chance to peruse our Gift Shop, filled with books, ornaments, reproductions of Dedham Pottery, and more! We are available for tours Tuesday through Friday from 9:00-5:00 p.m., and on the 2nd & 4th Saturday of every month from 11:00-2:00, or by chance. Free parking is available at the corner of High St. and Eastern Ave., just two blocks away. Limited on-street parking is available at area parking meters. The fee for the visit is $5 per person. We regret that the Dedham Historical Society is not handicapped accessible. Due to limited parking, buses should drop off visitors at the Society and return later for pick-up. 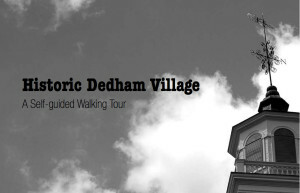 Get a glimpse into Dedham history with a field trip to The Dedham Historical Society & Museum. This free, hour-long program, designed for Grades 3 and up, gives students an unusual opportunity to gain a hands-on museum experience while learning about local history. We offer an engaging, interactive museum experience for school children. We give students an opportunity to take a close-up look at original documents and historic objects. The program provides students with an opportunity to wear museum gloves and handle historic artifacts while comparing and contrasting historic objects with their contemporary replacements. As part of the program, students will visit the Society Library/Archives and examine historical documents and photographs that provide a fascinating look back at Dedham history. The Massachusetts Frameworks are the basis for this program, and museum staff work with teachers to incorporate local history into the visit. We regret the Dedham Historical Society building is not handicapped accessible. return one hour later for pick-up. This program is sponsored in part by the Dedham Women’s Club. The tour takes about an hour to complete (though there are a few shortcuts if you’re pressed for time). The tour route is accessible for strollers and wheelchairs. One of the oldest historical societies in the United States, the Dedham Historical Society houses a library, archives, and museum. It also owns one of the foremost collections of Dedham Pottery. This was the original site of Jeremiah Shuttleworth’s home, Dedham’s first Postmaster in the late 1700s. The home served as the town’s Post Office and a dry goods store. Jeremiah’s daughter, Hannah Shuttleworth, bequeathed the house and funds to the Dedham Historical Society for the construction of the current Romanesque building in 1888. Nathaniel Ames Jr. (1708-1764) was a physician, but was most famous for writing New England’s leading almanac. He was the father of Fisher Ames, who was elected to the first U.S. Congress in 1789, beating Founding Father Samuel Adams. He was also the father of Nathaniel Ames III, also a physician, (1741-1822) who built this house in 1772 and carried on the tradition of the “Ames Almanack” until 1775. The federal style house is now overwhelmed by the mass of the former Christian Science Church, constructed in 1946 and recently converted to a gallery and event space. One of the few remaining wood frame commercial structures on High St. that is still in use. The at front and large display windows are typical of commercial structures of that time. Another example of a 19th century store front is around the corner at 20 Court St.
1. Start at the Town Hall. Inside, up the stairs in the lobby, on the left are the Civil War Tablets. Originally placed in the old Memorial Hall, these tablets now reside in the Town Hall. They list the names of the Dedham residents who fought in the Civil War. Outside the Town Hall, there are two granite monuments. 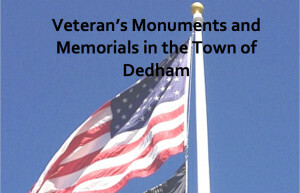 One is dedicated to all those who served in the Armed Forces from Dedham. The other places a special emphasis on 9/11 and Jeffrey Coombs. 2. Walk towards Washington Street and turn left onto Washington Street. Turn right on Marsh Street. On the corner of Marsh Street and Court Street on the left is the Rochambeau Marker. This is a marker to commemorate the French Troops who stayed in Dedham on their way from Newport to Boston under Rochambeau. Although this does not honor American veterans, it is a reminder of an important ally in the Revolutionary War. 3. Turn right onto Court Street. Turn left onto Village Ave. The Cemetery is on the left. The Village Cemetery was set aside by settlers in 1636 and was given multiple additions in the years to come. Walking towards the back corner of the Cemetery, away from the St. Paul’s Church and Village Ave, you will find the Civil War memorial. This particular memorial honors the soldiers from Readville, then a part of Dedham, who died in the Civil War. Located next to it is aÂ memorial for the Ship Maritana, and its captain and crew.